It’s hard not to notice the gleaming and teaming trophy case that greets you as you enter Whitby School's Renaissance Hall. What may not seem apparent at first glance is that many of the trophies lack the figurine on top, frozen in a state of running or kicking—Whitby has its share of those accolades as well, but what has been elbowing for more room are the impressive accomplishments from a comprehensive chess program that is only two years old. 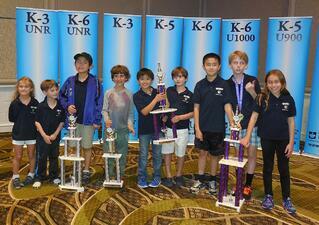 This year, thirteen of Whitby’s Chess Players traveled to Nashville to compete in the United States Chess National Elementary K-6 Championship. 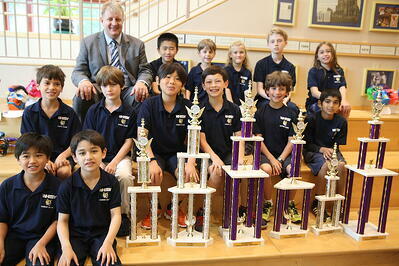 Whitby School’s K-6 and K-3 Championship teams took 6th and 11th place, respectively. 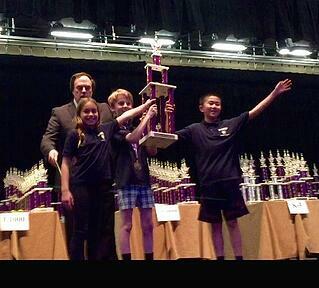 Grade 3 student Max Lu placed 1st in the nation during the tournament’s K-3 Blitz round and placed 2nd in Bughouse. In light of Whitby’s recent success at the U.S. 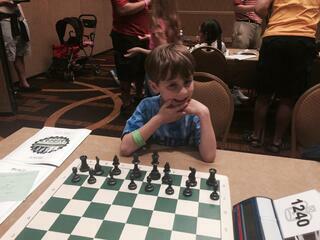 Chess National Elementary K-6 Championship, we asked some of the parents to reflect on the Chess program at Whitby. Team tournaments happen more than a dozen times a year—for those chess competitions, schedules and transportation concerns must be met, and Whitby parents have stepped up to the challenge. When a team plays chess, points are attributed for play. The cumulative points are tallied and those “teams” with the most wins, sit atop the podium at meet’s end. But, getting to that team result requires individual performance, at the same time, wholly dependent on the support of teammates. K-6 Championship - 6th Place - Contributing to this victory were Rohan Suryawanshi (5 points), Allen Dong (3.5 pts), Jack Klein (3 pts), and Isabella Hall (3pts). K-3 Championship - 11th Place - Contributing to this victory were Max Lu (5.5 points), Nicholas Kurbanov (3.5 pts), Brian Antczak (3 pts), Peter Liu (2.5 pts), Nicholas Stephens (2 pts), William Buehler (1.5 pts), and Asher Beck (1 pt). K-3 Blitz - 8th Place - Contributing to this victory were Max Lu (10 points), Nicholas Stephens (4.5 pts), and Asher Beck (4 pts). More information on the Blitz round can be found here.